Throughout the years, coffee has taken an increasingly prevalent position in our world. Caffeine is now depended on so heavily that Australian cafes and coffee roasters are booming with continuous growth in the industry. When energy drinks rose in popularity there were warnings everywhere about your daily intake and how much you could consume before it became dangerous — the cans even displayed information about the caffeine content, sugar content, and any other dangerous ingredients. Coffee never really had this reaction or level of attention and up until now we never knew how much caffeine was actually in a cup of coffee… we just knew that most doctors, nutritionists, and scientists agreed that roughly 400mg should be our daily limit for caffeine. 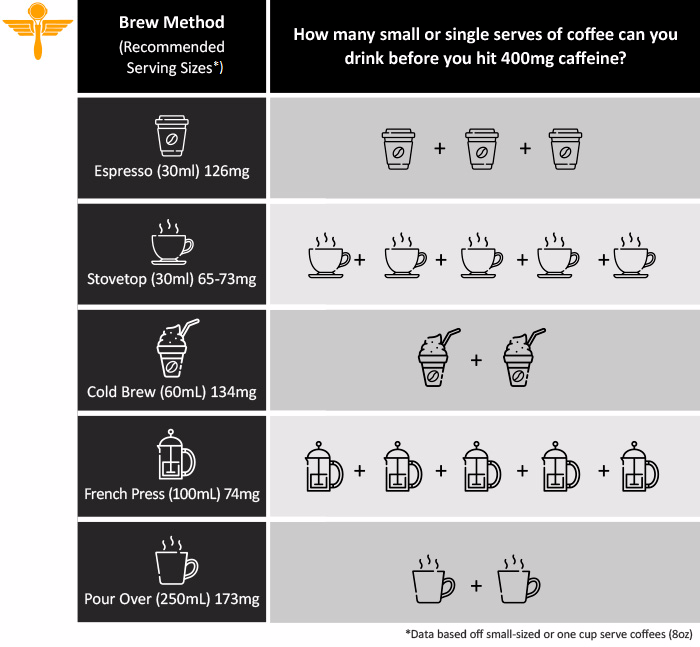 We now have new research from Crema Coffee Garage in collaboration with The University of Newcastle that shows us the caffeine content found within five different brews of coffee. The researchers tested five brews: espresso, cold brew, pour over, french press (plunger), and stovetop espresso. They found that while espresso used a similar quantity of coffee to the rest of the brews, it actually extracted the highest amount of caffeine and took the shortest amount of time to brew. The second most caffeine-potent brew was cold brew but in contrast to espresso’s roughly 30 second brew time, cold brew requires 8 to 12 hours to extract the caffeine properly. French press and pour over coffees contain the least amount of caffeine, producing a quarter to half as much caffeine as espresso. This new research allows us to be better informed about we consume coffee and caffeine. 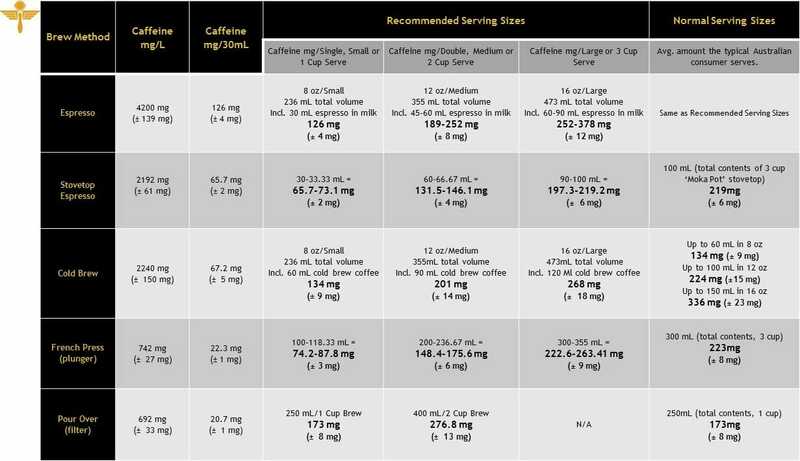 Where before we knew roughly what our caffeine limit was but had no idea how many coffees that actually meant, we now have the resources to keep under our caffeine limit and make healthier choices when it comes to consuming coffee.